If you’re craving a foodie getaway, then Mexico should, without doubt, be top of your list. Not only does the country have some of the finest chefs in the world, but the glorious weather and diverse geography provide a wealth of fresh ingredients. 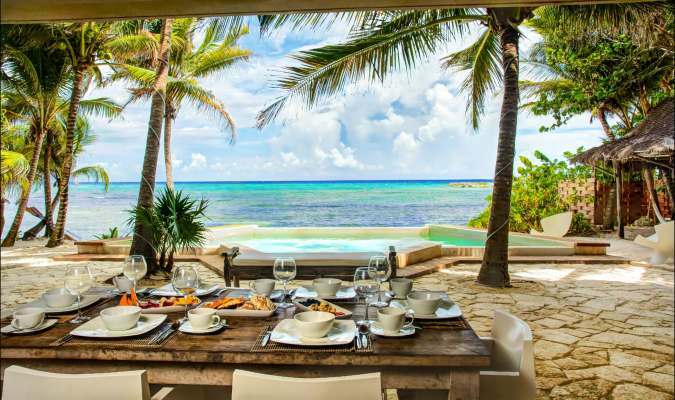 There are vacation villas for food lovers dotted across Mexico but, to help you narrow down your options, here are some of the very finest. 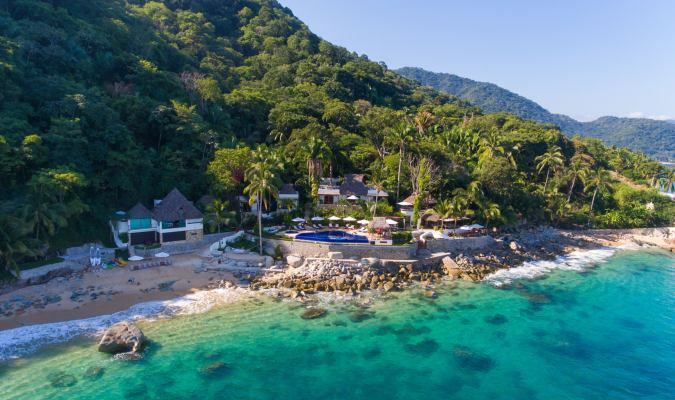 A secluded villa rental, La Troza, is run by the owners of La Palapa, one of the finest beach-side restaurants in Puerto Vallarta. With that pedigree, you’ll be unsurprised to hear the private chefs at La Troza are among the very best in the area. Guests can expect high-end cuisine throughout the day starting with a varied breakfast buffet leading to a mouth-watering lunch and a gourmet dinner. Waiters and bar staff provide the service a resort can offer within the privacy of your luxury rental. A typical day starts with a gourmet buffet which includes fresh fruit, yogurt, granola, bacon, sausage, toast, and freshly baked pastries accompanied by coffee, tea, and juice. Dinners can range from three-course meals to family-style sharers while lunch offers local and international options. A stay at La Troza will also include snacks and house drinks all-day. How and when you eat is very much up to you. Speak to the highly-trained chef who can help you craft the perfect foodie experience. 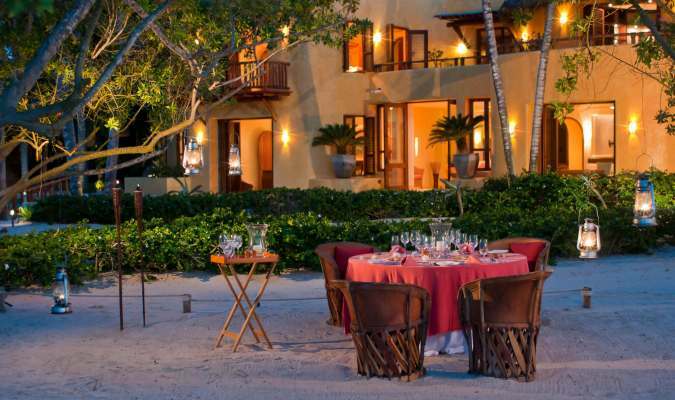 The gorgeous Palmasola in Punta Mita offers the private dining experience of a lifetime. Each day, the highly professional and experienced private chefs put together a custom menu of local delights and international delicacies. You’re invited to approve the menu or edit it to your tastes. Palmasola’s general manager, Mike O’Hara, will also work closely with the chefs to pair exquisite wines from across Latin America with the meals. Dietary needs and requirements can be taken into account, plus children’s menus can be created for the little ones. Perhaps most excitingly, Palmasola has a number of gorgeous spaces that can be magically transformed into different dining areas. The dining palapa, for example, offers a more formal setting for two to 14 guests. Las Estrallas, the rooftop terrace, offers dining underneath the stars for two to 16 people. For a more relaxed ambiance, you may opt for the palapita which provides an intimate covered space on the beach for two to eight guests. Overall, there are 15 different dining spots for visitors to choose from. However, if somewhere different catches your eye, just let the staff know, and they can set up a dining area for you there. The twin pleasures of Villa Zacil Na and Casa del Agua offer an exquisite dining experience in the Riviera Maya. If you’ve got a relatively small group, you could rent just one, but if your party is on the larger side (up to 18 people), you can rent both of these neighboring villa rentals. No matter which option you choose, you are in for the culinary experience of a lifetime. If you want to stay at any of these perfect villas for food lovers, then you have excellent taste. As Mexican villa experts, we can help you book your stay and organize any food tours that take your fancy. Speak to one of our travel experts today or fill out our Trip Planner to start planning your dream vacation.